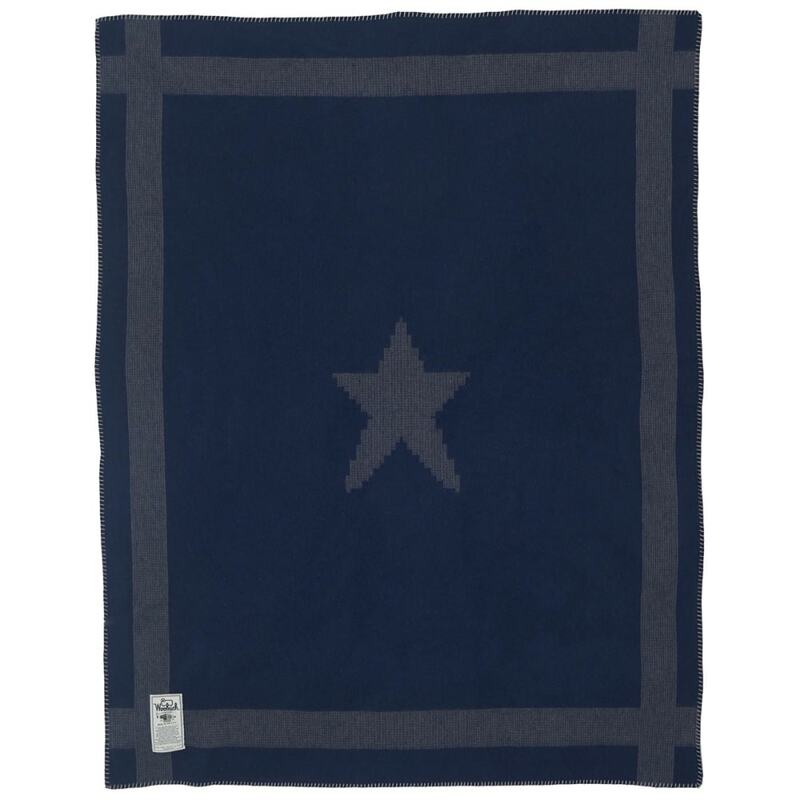 The newest blanket in Woolrich’s Civil War Series, the Gettysburg Star Blanket is woven at Woolrich’s PA woolen mill. Deep blue accented with bold gray border stripes and a large center star. Over-seamed and whip-stitched on all edges.